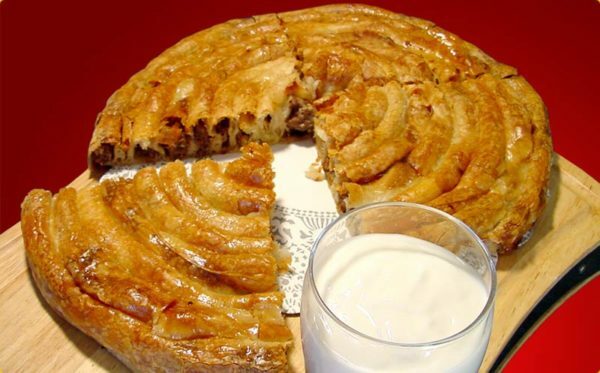 Burek is one of the most traditional and among best Serbian food. Records of this meal exist since 12th century. Burek has its origins in Turkish cuisine and in fact, it has been made by the Turks of Central Asia before their westward migration to Anatolia in the late Middle Ages. Burek is very popular in the cuisines of the former Ottoman Empire (Serbia was once under OE), especially in North Africa and throughout the Balkans. 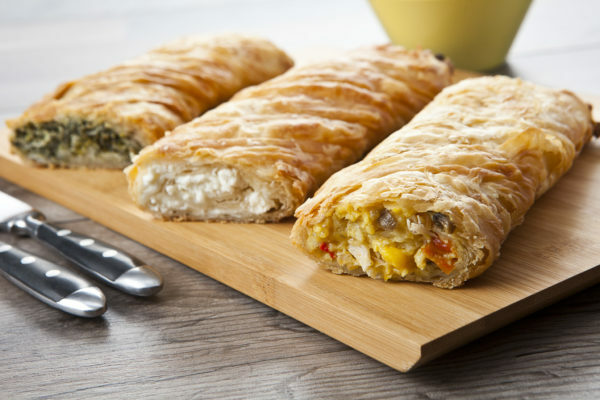 Burek is a type of pastries (made of a thin flaky dough) and can be filled either with minced meat, feta cheese, spinach or potato (or even empty one) and baked at a low temperature. If you prefer a quick bite, than this bakery is perfect selection for you! They have been in business for more than 100 years and they are still going strong. Their bakery products are manufactured from the highest quality raw materials in the traditional way, without the use of additives. There have three bakeries, all located in the city center. This place is considered as one of the best regarding Burek. This is one of the most famous places when it comes to Burek. They have a tradition longer than a decade in Belgrade. 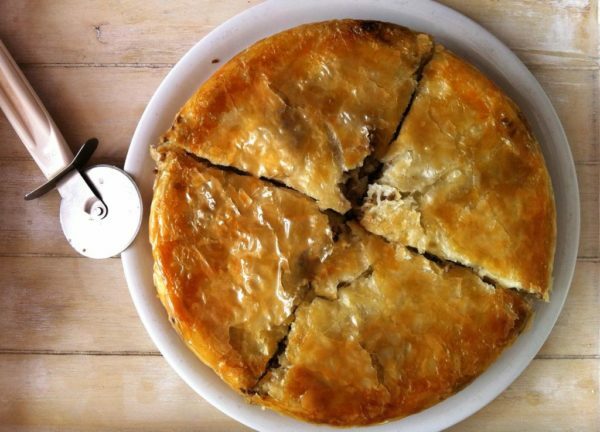 They attract lovers of good taste, and of course, a good Burek! They are “sharing” secret ingredients ( a hundred years old recipes ) with their customers:, and a lot of love that is added in every single piece, which is the most important ingredient. Bakery “Burek non-stop” started to work more than 20 years ago, in 1995. Over the years many customers motivated them to continually improve and maintain quality. All products are hand-made, with the highest quality ingredients and best recipes. Burek is always fresh, and reach their customers right from the oven. Every day, the entire team of employees keep up about freshness, quality and diversity of supplies. Important notice: If you want to make Burek with meat, just exclude cheese from the recipe, and add minced meat, everything else is the same regarding the preparation! In deeper dish mix water (mineral water) oil and salt (if the cheese is salt enough be careful not to put too much salt). Before every coating of the crusts mix this liquor because, due to the fact that oil is lighter than the water, it gets separated on the surface. For preparation of Burek you can use bought or domestic crust. Grease round casserole dish with oil and put 2 crusts with their ends crossing over the edges of the dish, so they hang on the sides. Coat them with mixture of oil and water. The rest of the crusts divide into groups, with each group containing 3 crusts. Take three crusts into a dish, one over another and crumple them so they can fit in, coat the third and pour cheese over it. Cheese for the pie can be cow cheese or sheep cheese, but it must be fresh. Repeat this with other crusts except with the last tree. The first one out of the three put crumpled into a dish and coat it. Put the second crust, coat it too and put the rest of the cheese. Put the last crust and coat it with the mixture of water and oil. Now those ends that are hanging on the sides put over the last crust closing the Burek and coat it with the liquor. Bake cheese pie in oven heated up to 180°C (360°F), for about 30-40 minutes, until the pie gets a nice red color. When it’s done, turn over the pie on a plate and cut it into pieces. Congrats! You made your first Burek! Notice: Warm Burek is best served with Yogurt.